Keeping a bottle of clove oil on hand is a very wise idea, clove oil has come to the rescue of many of use who could not get a timely dentist appointment. Clove is too useful though, to be hidden away in the first aid kit only to be brought out in times of emergency. Even for those who do not go in for aromatherapy oils as a rule, clove is a simple and effective solution in such a wide range of home remedy uses that it is pretty much indispensable. You can use the antibacterial power of clove to deter colds and viruses, by using it to disinfect the air and kill germs on surfaces. 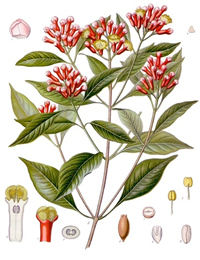 Clove is best known as an analgesic and antiseptic treatment for dental pain, and can treat gum disease and bad breath. Clove oil can also be added to massage oils to ease muscle soreness and arthritis pain. Clove is deodorizing and an antiperspirant and can be used in many personal care products, however, make sure it is well diluted in any application that requires skin contact. Clove is very useful in the kitchen, use cloves to add savory flavors to foods as well as aid in digestion. 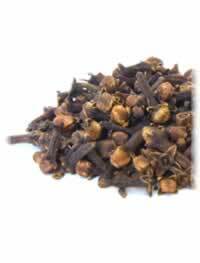 Clove eases stomach upsets and nausea. Clove oil is also one of the best essential oils for deterring ants in the home or garden. Preparation Methods & Dosage :Clove oil can be diluted and used as a massage oil, or as a compress or poultice for ear and tooth pain. Put a few drops on a cotton ball for toothache. 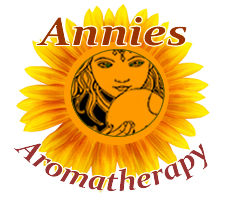 Use clove oil in aromatherapy lamps to disinfect rooms. Cloves can be added to herbal teas and used in cooking. In the Kitchen: Cloves are used in many traditional holiday foods, studding hams, and orange pomanders. Cloves are most likely underused during the rest of the year, which is a shame because they can add strong, spicy zest to many foods, and combine well with cinnamon, cumin and ginger. Clove also improves digestion, which may be why there are traditionally used to spice meats. Cloves can relieve nausea and indigestion, and may relieve diarrhea caused by intestinal bacteria. The secret is to use clove sparingly, just a pinch too much will overpower other flavors and ruin the dish. Traditional Chinese Medicine The fresh and dried flower buds of clove are also used in herbal formulas in traditional Chinese medicine (TCM). Clove Side Effects: Never use undiluted on the skin. Avoid clove oil in treating pain due to root canal work, since it may cause inflammation. Flowers:Small, aromatic flowers, when dried are the cloves. Karta Purkh Singh Khalsa & Michael Tierra. "Ayurvedic Herbs, The Way Of" Lotus Press, (2008) Lavanga has special benefits for nerve function, which means it balances vata.